Delivering food on train is a miracle in itself! Unlike your Pizza delivery boy, we do not get a second chance. Far from it, as soon as the train chugs into the station our delivery guys have to race against time to complete a successful delivery. They have to sprint past not one but many obstacles before reaching your berth. It is a wonder than that: we have still managed to achieve a successful delivery rate of over 90%! 3 Minutes is all we have! Time is the biggest challenge for our delivery guys. 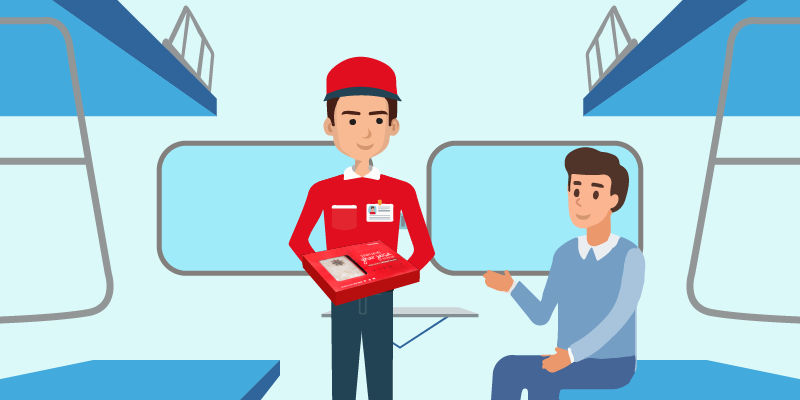 Trains have a limited stoppage time, and when our delivery guys leave the restaurant with the food parcel they know delivering the food to the user would not be easy! 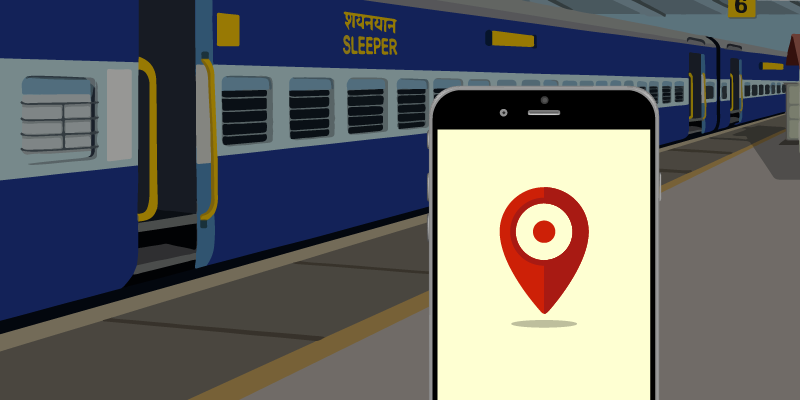 A train would ideally allow 2-3 minutes’ time for them to locate the coach, get inside, deliver food and pick up the payment. During this small time margin, they have to overcome many challenges, before completing the delivery successfully! There are many instances when the coaches do not follow their syn-chronic order. And when a coach has been placed randomly, the delivery guys have to use all their local knowledge about the platform and the probable positioning of coaches to single out the coach where the delivery needs to be made. Once the coach has been located, it is now time to make it in the coach as soon as the train comes to a standstill. But that is easier said than done! Why? 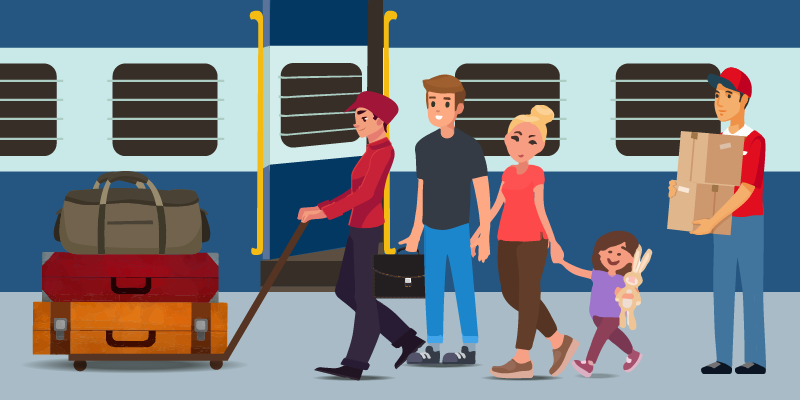 Well, no sooner the train comes to a halt, the gates get crowded with passengers who either want to get down and flex their muscles, or others who want to de-board the train. Our delivery guys have to manage a way through the crowd, for they cannot wait. Now that the delivery guy has managed to get inside the compartment, he makes a dash for the users’ berth. Here again, the delivery guys faces an uncanny challenge. 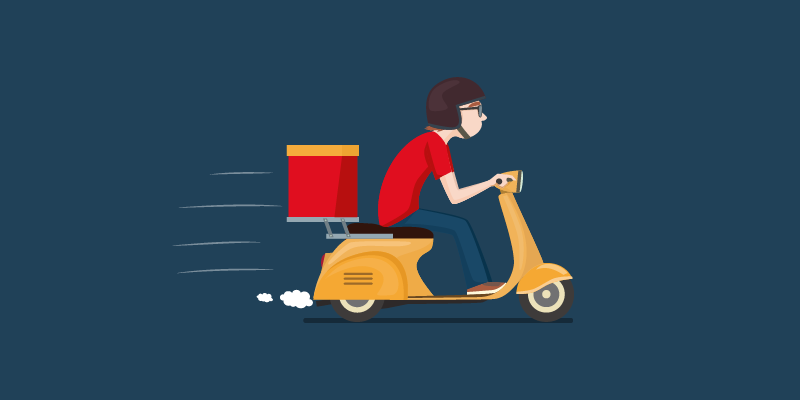 Many a times, the user starts looking for the delivery guy rather than waiting at his/her seat. This creates a confusion and leads to the loss of valuable time. So, our humble request would be: please stay seated at your mentioned berth number and our delivery guy would reach you on time. Once the user has been found and identified, the delivery guy hands over the parcel to him/her. He would wait until you have checked and tallied all the ordered items. It is only after you have checked thoroughly and are satisfied, that our delivery guys would ask for the payment. In case of Cash on Delivery orders, the delivery guy would take the payment. In case you do not tender the exact amount, they would have to spend some time in returning back the due change. By now, the train has already started moving and the delivery guy would bid good bye and descend from the running train. 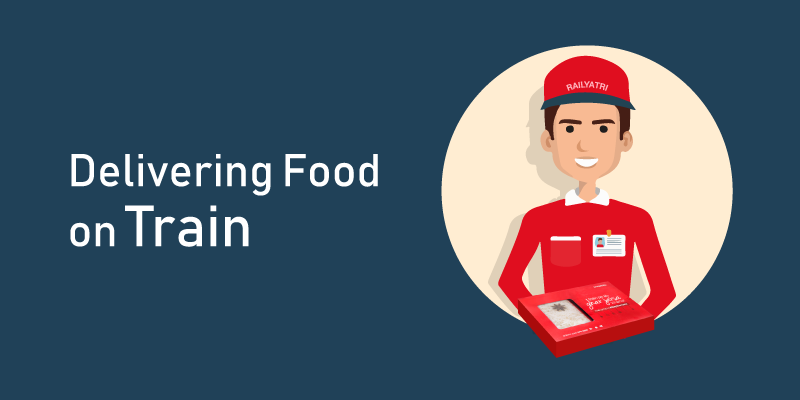 Like men on mission, hundreds of RailYatri food on train delivery guys run against time so that none of our users are dissatisfied or worst still – remain unfed! Their reward is the happy smile on your face after a fulsome meal. Next articleRailYatri Loyalty Points: Indulge in some travel shopping! 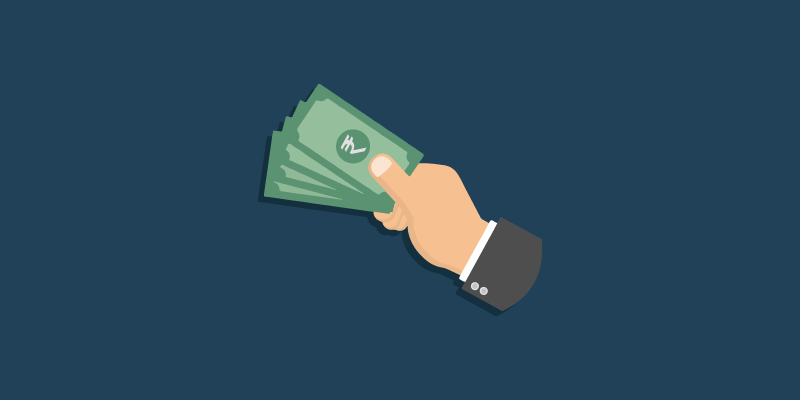 RailYatri Refer & Earn Program for Vendors: Because we care for you!